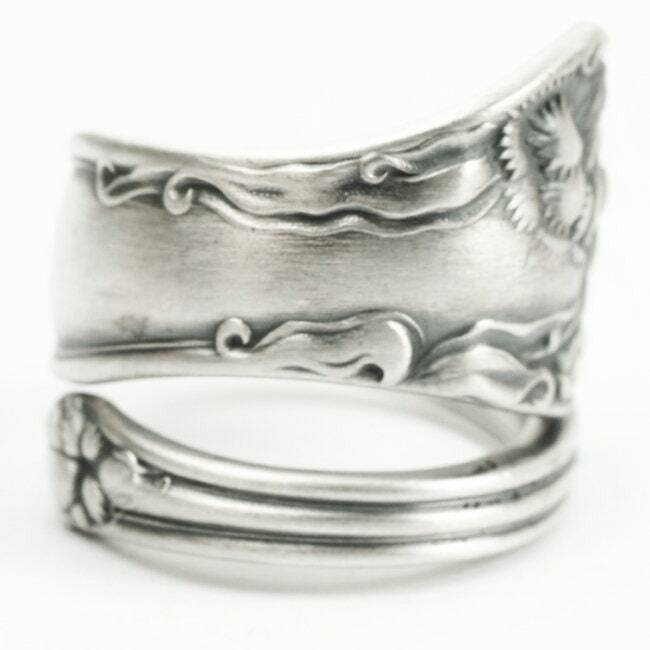 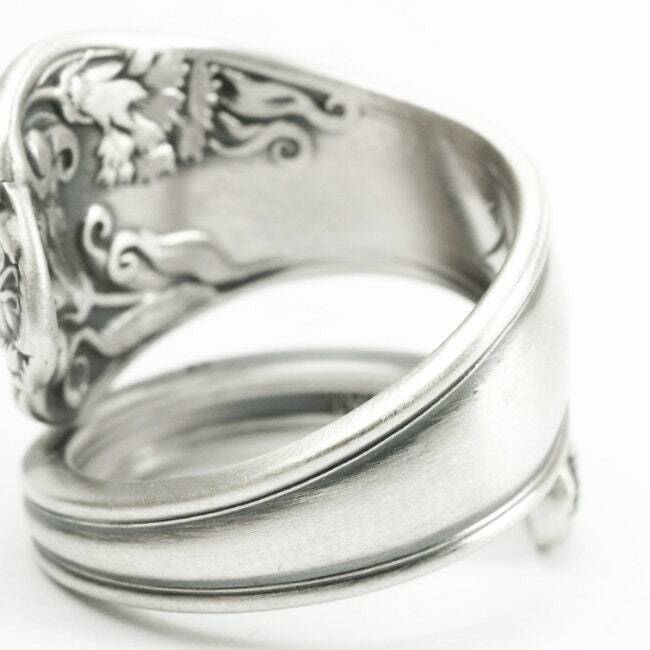 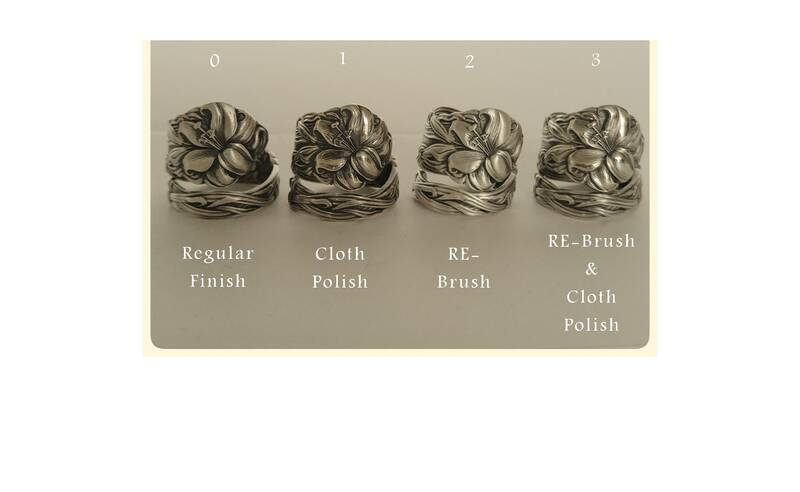 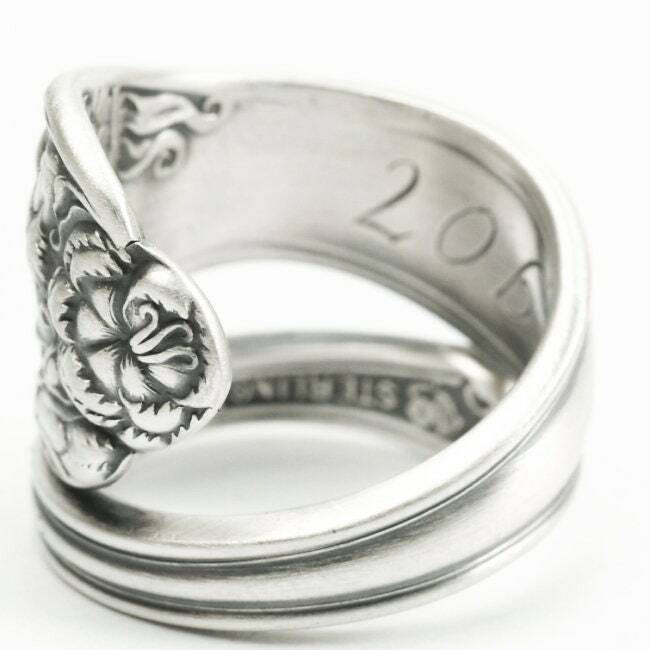 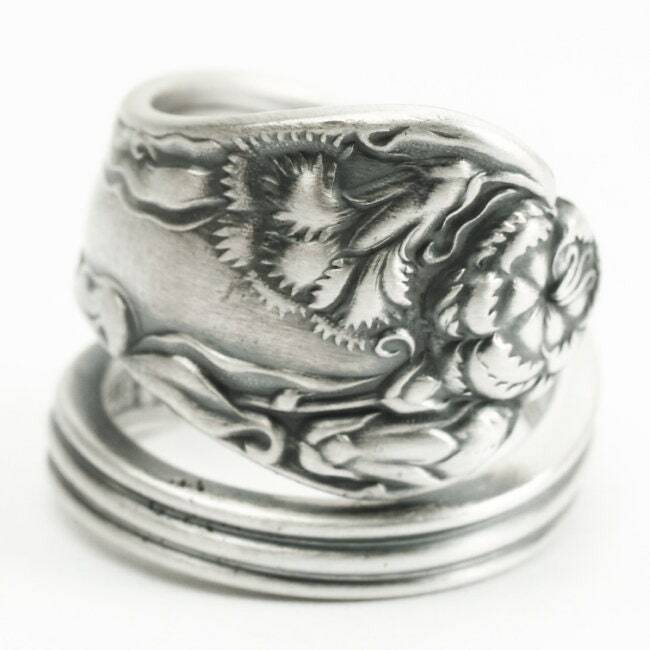 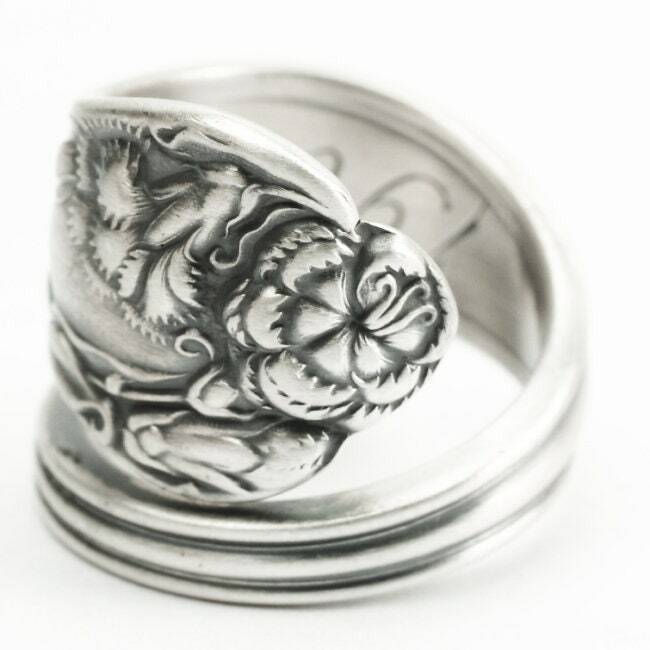 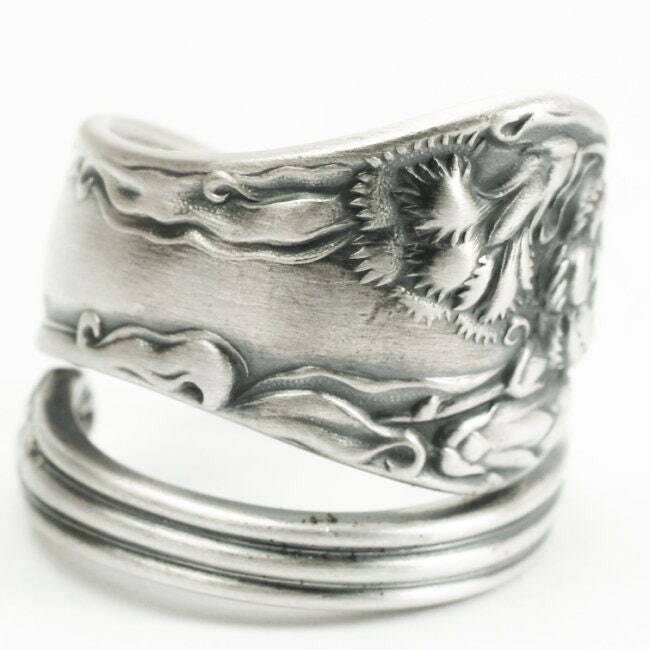 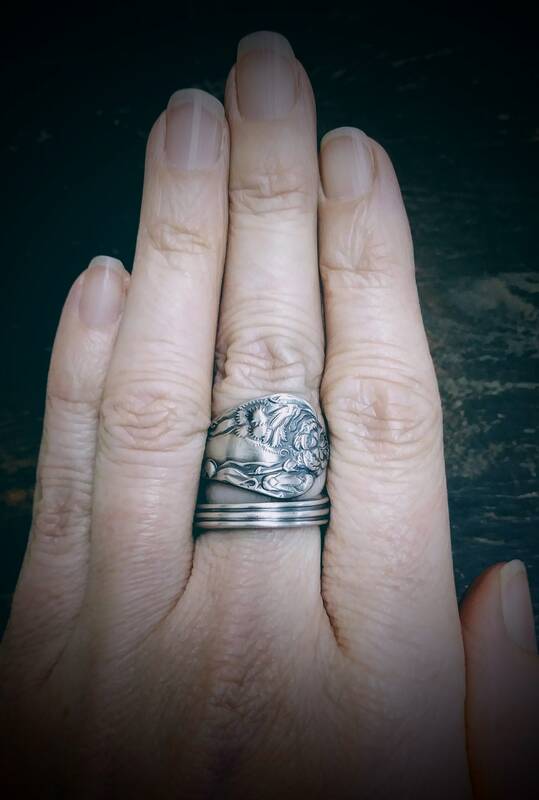 This elegant and petite design is over 100 years old, an excellent example of old world sterling silversmithing- handmade into a beautiful ring! 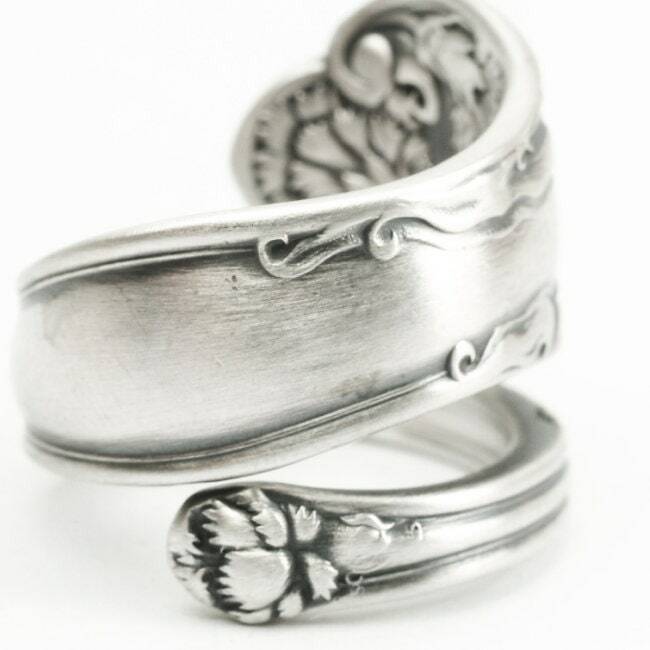 A couple of high relief carnation flowers depicted flowing and weaving in the popular Art Nouveau style of the times. 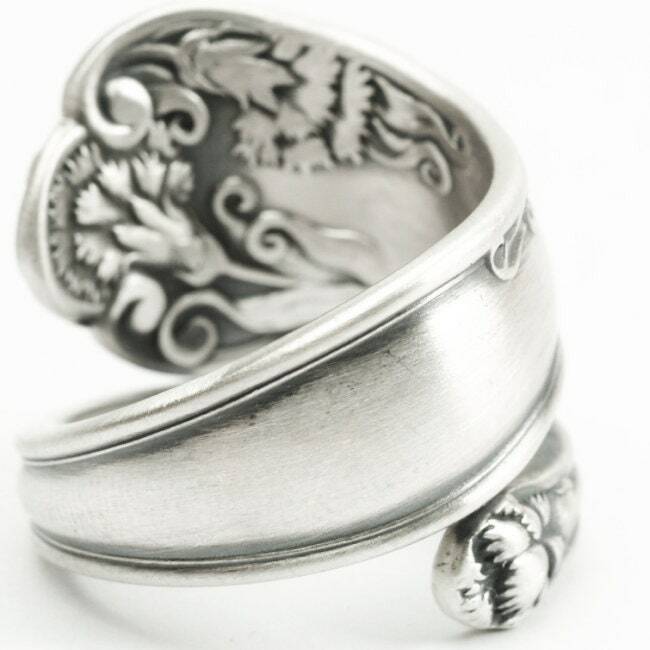 Made by the International Silver Co, called "Stratford" made in the year 1902!